Mowing the Law: Is Death Penalty discriminatory? The following article is written by Ms. Barkha Yadav. Straight after hanging of Yakub Memon the death penalty debate again resurfaced. Everyone is talking about whether it acts as a deterrent or not? Whether it should be abolished and if not then how should it be applied? But very few have actually spoken about the barbaric and discriminatory way in which death penalty is applied in our country? 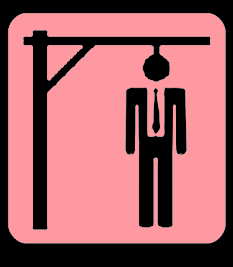 In my opinion death penalty should be abolished because it gives too much discretion to the judges to decide whether a case falls under the rarest of rare provision or not?I think that the judges are not free from the caste and religious biases which are prevelant in our society while awarding death penalty to the convicts. According to a report by National Law University, Delhia vast majority of the prisoners,who are on death row belong to backward castes, economically weaker sections and Muslims. To prove my opinionI will bediscussing two cases that have very similar facts and circumstances but judgments given were very different. In the case of Krishna Mochi And Others vs. State Of Bihar famously known as ‘Bara Massacre’. In 1992, a mob of 150 dalit men under the leadership of Maoist Communist Centre (MCC), killed 35 members of the Bhumihar Brahmin caste at Bara village in Bihar.The Supreme Court found 9 people guilty out of which 4 were given death penalty and the restwere given life imprisonment. According to me in this case no reason was given why TADA (Terrorist and Disruptive Activities (Prevention) Act) was applied ? In this case the court did not follow the proper procedure as prescribed by the law because no case diary was produced in the court and no test identification parade of accused took place. The investigating officers didn’t take any caution of recording the statement of witnesses immediately as required by the law.Investigating officer and informant were not cross-examined which is necessary under the Evidence law. Most importanty, the court failed to follow the death penalty guidelines as given in Bachan Singhvs State of Punjab case andno specific reason for awarding death penalty was given. The court awarded them death penalty solely on the basis of them being members in the group. This case shows how faulty, delayed investigation and lapse of long period in trial affects the administration of justice. In State of BiharVs.Girja Singh and Ors also known as ‘Laxamanpur Barthe Massacre case’.In 1997, Ranveer Sena, the militia group formed by upper caste landlords murdered 58 Dalit men and women of Laxmanpur-Bathe village in Bihar. Members of the upper caste wanted to establish their dominance in the village because of which they attacked the Dalit community who were mostly labourers. The Patna High Court in 2013 delivered their bizarre judgment of this case acquitting all 26 Ranveer Sena men for ‘lack of evidence’including 16 men who had been put on death row by the lower court. The court held that delay in receipt of FIR (First Information Report) in court coupled with other circumstance like delay in recording the statement of the eyewitnesses persuaded them to reject this case. Surprisingly, 45 witnesses to the case were not enough to provide sufficient evidence. According to the witnesses, the police recorded their statements on the day of the incident or within one or two days after the incident. But according to the police diary the statements of the eyewitnesses were recorded after 6 days from the incident. Rather than ordering a probe in this matter, the court dismissed the suit on the basis of lack of evidence. This case showed how carelessly the high court acquitted all the accused when the lower court had awarded them death penalty. The question that arises is whether death penalty was constitutionally applied in the above cases? Article 14 talks about ‘right to equality’ before the law and there is a dual test which states thatwhere article 14 was complied with or not. The test states that there should be intelligible differentia, which means a rational difference between the two classes and reasonable nexus which links the classification to the object. The object of death penalty is to act as a deterrent against heinous crimes. But there is no intelligible differentia because the two cases with very similar facts and circumstances were treated differently. No reason was given by the court as to why IPC was applied to one case and TADA applied to the other. There is no rational difference which explains why in one case the accused were given death penalty and in the other case the accused were let off. Death penalty gives too much unguided discretion to the judges in deciding whether an offence comitted by the accused falls under the ‘rarest of rare provision or not’. The judges by misusing their discretion allowed inordinate delay in recording of witness statement in one case and admitted it as evidence and same was not allowed in the other case. When the facts of both the cases are same but no reason was given why one case was governed by IPC and the other case under TADA? Hence there is no intelligible differtia and therefore no reasonable nexus. Lets look at the constitutionality of death sentence under substantive equality lens. The law recognizes that two people can be treated differently under similar circumstances but in my opinion the judges in the above cases did not give a reason why these two cases with similar circumstances were treated differently by giving different punishment. The only difference which seems to me as to why they were treated differently is because of there caste. According to Article 15 because no person should be discriminated upon on the basis of religion and caste only. In the above two cases the judges delievered different verdicts because the two cases dealt with two different castes. Therefore the applicaton of death penalty is unconstitional inaccordance to Article 14 and Article 15 in the above two case. The two cases referred above have shown clearly that death penalty can be applied discriminatory and therefore it should be abolished.